Touchpal has commited to bringing their own take on Apple's Animojis - called AR Emojis - to users of the company's Android keyboard app in an update later this year. Launched alongside Vivo's new V9 smartphone overseas, Touchpal's AR Emojis (called FunMojis in the Vivo version of the feature) use your phone's front-facing camera and microphone to transplant a users' facial expressions and voice onto a cute 3D animated avatar. 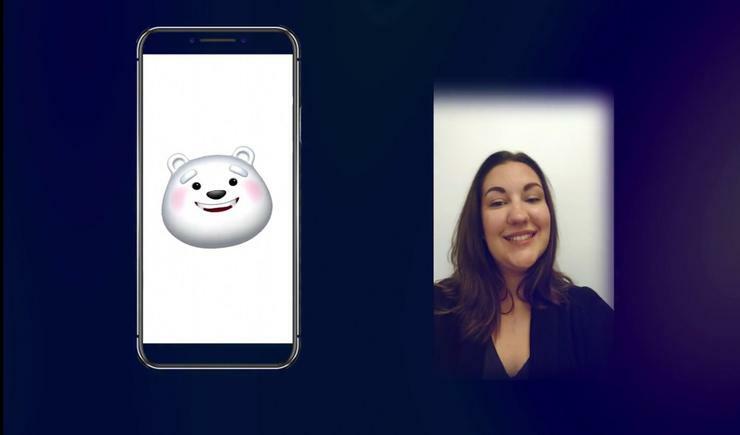 Users are able to record ten second clips of their AR Emoji in action before sending them to friends over the usual social networks and messaging service apps. The move would make TouchPal the second major company to follow in Apple's footsteps and offer this sort of AR-enhanced animated emojis. However, unlike Samsung (who launched their own AR Emoji's with the Galaxy S9 and S9+ earlier this year), TouchPal's AR Emojis won't be locked to any particular Android handset. If you can install the TouchPal Pro keyboard on your phone or tablet, you should have access to AR Emojis. This is important because it erodes the potential value of the feature as a point of difference between Samsung, Apple and the other smartphone brands out there. Unfortunately, unlike Samsung's AR Emojis, it doesn't look like TouchPal's AR Emojis feature supports creating your own personalized avatar nor does it feature any major third-party licensed AR avatars. Currently the feature is only available overseas on limited devices but expect it to make it into the Australian Google Play Store sooner rather than later.